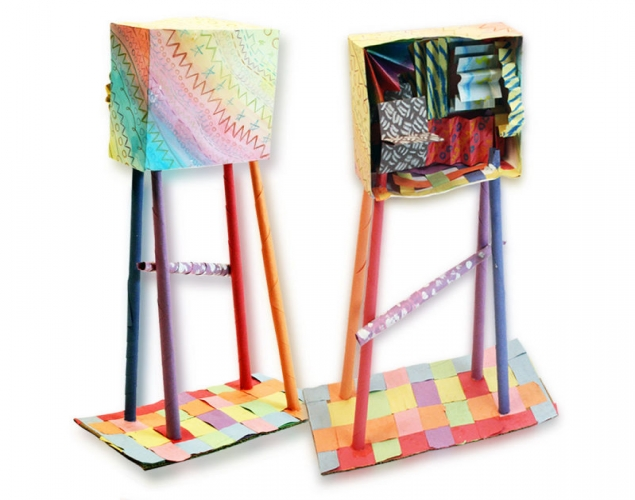 Students use a variety of papers and drawing tools to create a pattern-filled, free-standing sculpture that is inspired by OCAD University's Sharp Centre for Design. Use a 21.6 cm x 27.9 cm (8.5" x 11") piece of cardstock paper. 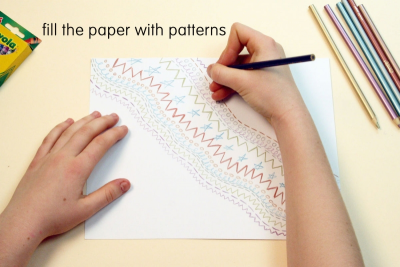 Use crayons or coloured pencils to fill the paper with lots of different patterns. 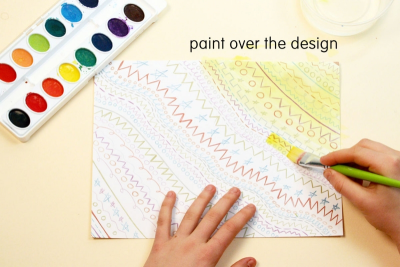 Use watercolours to paint over the whole design. Follow the instructions to make the bottom of a box. 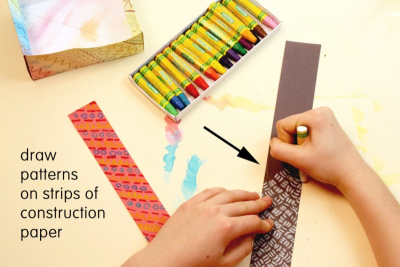 Use paint and/or oil pastels to draw patterns on strips of construction paper. Accordion fold the paper strips. Make some folds deeper than others. 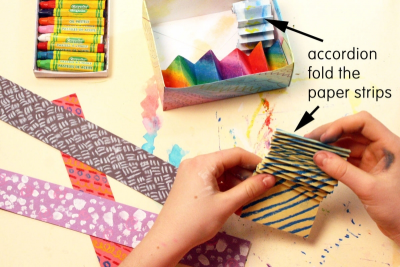 Fill the box with the folded paper strips. 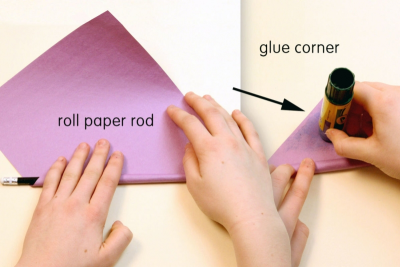 Roll at least 4 paper rods to support your box. Use the rods to support your pattern box in an interesting way. Make sure the sculpture is balanced and sturdy. View the sculpture from all sides. Give the sculpture a title. cut out the photos and glue them to the sculptures so that they fit the space in an interesting way. 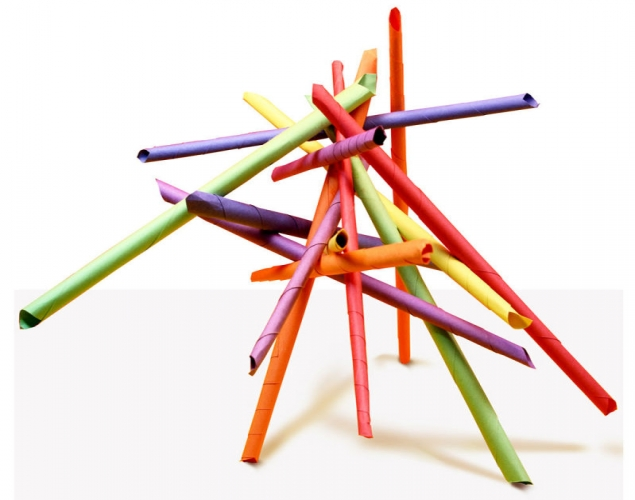 Prior to this lesson you may want to have students explore stability and structures using the Paper Rod Sculpture lesson plan available on this website. Download and display the Balance and Movement posters available on this website. Download pictures of OCAD University's Sharp Centre for Design. View pictures of different kinds of functional tower structures and lead students in a discussion about what factors contribute to their stability. List their ideas on chart paper. - How does the design reflect the purpose of the building? - How is the building like a sculpture? - What effect does pattern and colour have on the overall design of the building? 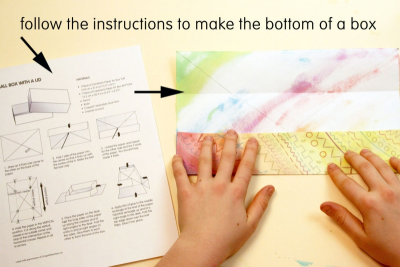 Follow instructions to create a small box. 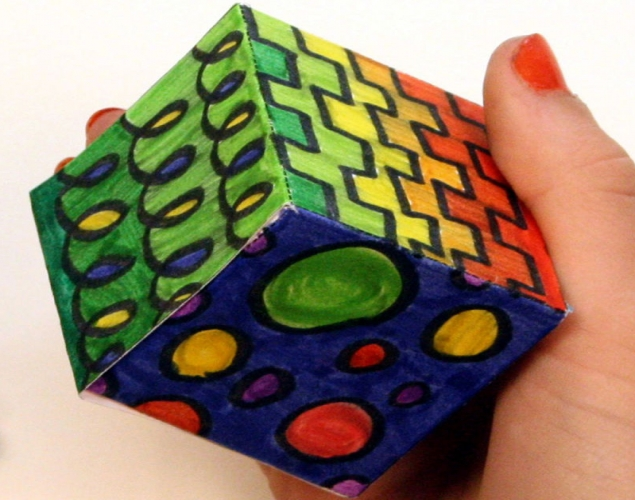 Create a variety of patterns in and on the box. 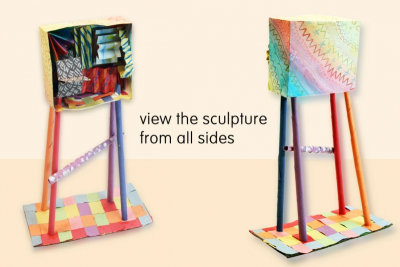 Use the box as part of a three-dimensional, free-standing sculpture inspired by OCAD University's Sharp Centre for Design. Use angles and spaces to create visual movement. Encourage students to build thoughtfully, periodically looking at their design from a distance. Place students into groups of about 6. Ask them to discuss their sculptures and compare the way they are made. - What do you notice about how students balanced their sculptures? - How do the angles and spaces create visual movement through the works? - How does colour and placement affect the overall impression of the work? - How are the sculptures like the Sharp Centre for Design building? How are they different? After the small group discussions, ask students to share something of interest from their group with the whole class. Ask students how they felt about making this sculpture. 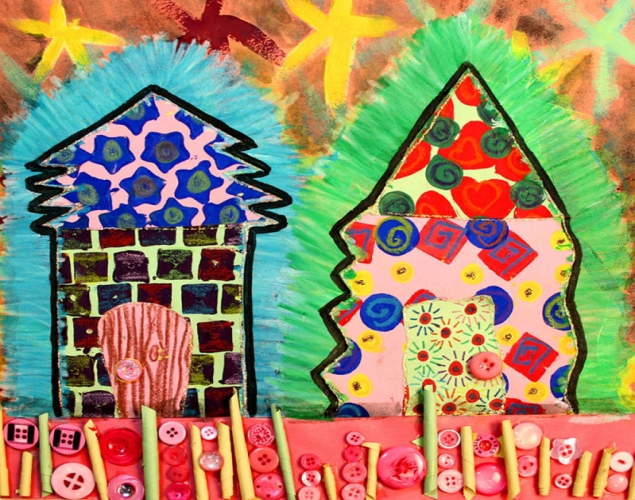 Observe students as they discuss the sculptures – active listening, insightful contributions, supporting ideas with evidence found in the artwork and from personal experience.